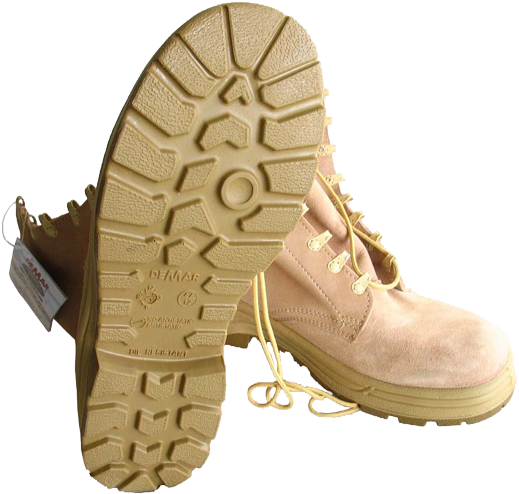 On the heels, in a round-shape element of the tread pattern, the dimensions are indicated: European size (size 40 in the photo shown), size in centimetres (26) and width of the boot (65). Such information may be indicated on the attached label or on just inside the boots, under a soft leather cushioning on the top of the boots. Such indication shows two-digit month and year of production (08 07 means August 2007), the model (920 P/MON, where p stands for "Pustynne" - "Desert") and the sizes. But "Gepard" ("Cheetah") is not the only type of the out-soles used. 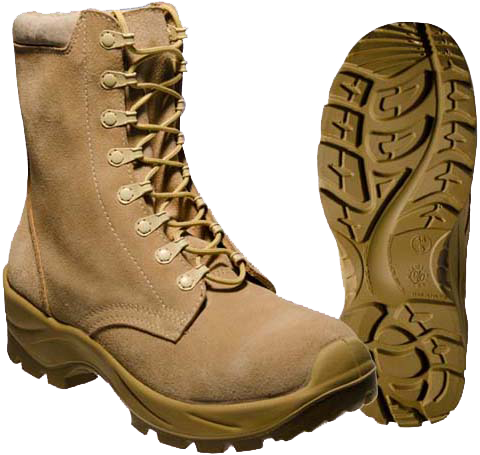 The same manufacturers produce boots of other models, colours and tread patterns. 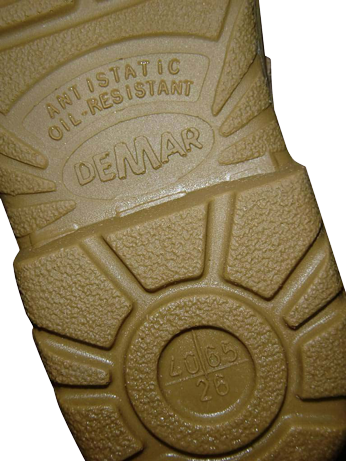 There is an example of the double-layer polyurethane out-sole of "ARM" type ("Podeszwa PU/PU typu "ARM"). The table below shows the size chart of the Polish army "desert" boots manufacturers. The out-sole is made of two-layer, composite rubber of various densities. This is a fairly common design - a layer of foamy polyurethane inside the main oil-petrol-resistant and resistant to high temperatures rubber out-soles. 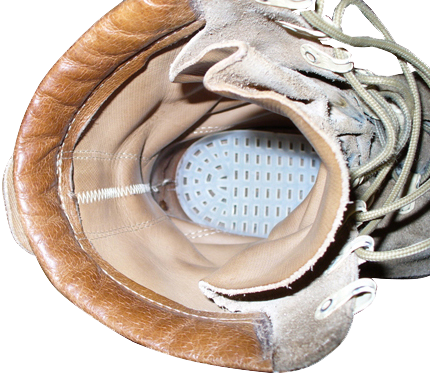 Virtually the same out-soles are used for the Danish "desert" boots produced by "LeBock" company). The out- soles are glued to the suede top, but the used glue is enough good in quality and there were no serious complaints on this matter. We should also mention the insoles ("wkładki" in Polish). They come as standard army-issued plastic insoles ("wkładka plastikowa"), white-coloured with large cells (almost the same as in the Hungarian old model military boots) and as leather insoles ("wkładka skórzana"), almsot the same as in the Austrian military boots. It is recommended to choose the size of the insoles (actually it's the inner size of the boots) approximately 1 mm larger than the actual size of one's feet, in order to provide ventilation and comfort of wear. The example of such ratios is given in the table. 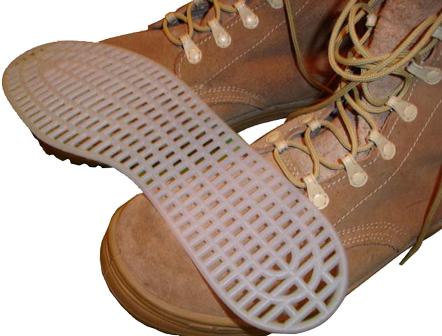 The plastic insoles provide good ventilation, but, judging by the reviews of the Polish Army veterans on the thematic Polish forums, such insoles quickly tear and wear out the cotton socks, so it is recommended to use two socks at once: thin cotton sock underneath, and another, more durable synthetic fibre sock over it. 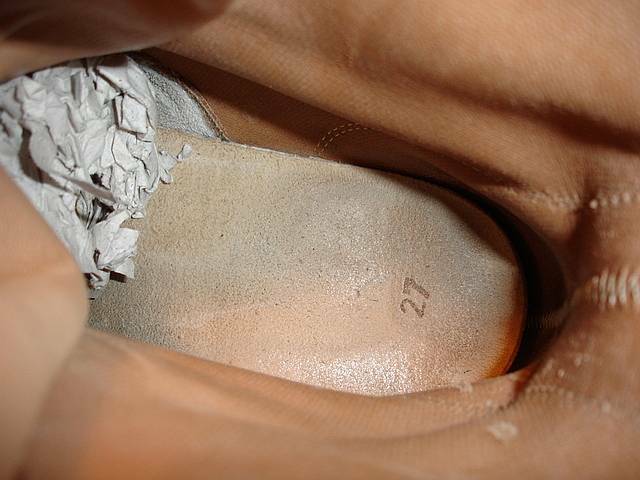 Some users discard the standard rough plastic insoles and replace them with better and more anatomically correct privately-purchased insoles. 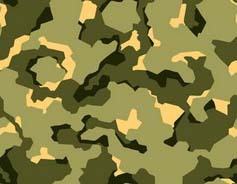 But, in fact it is typical not only for Poland, but also for many other armies, particularly in Israeli Defence Forces.